Especially those with an earlier Avid or KitFox. Do you find these birds are better suited to wheel takeoffs and landings, three point or a combination? Takeoff with a few degrees of flaperon and full down elevator till tail comes up then pop flaperons full on and rotate and your flying. Landing I carry it in with some power nose high and 3 point. With the narrow gear, small Rudder, relatively heavy tail and being very short coupled stuff gets exciting quick while wheel landing. Whatever you do don't chop the power at 5 ft and hold it off like a Cessna or you'll get to find out what rebuilding a seat truss is all about. The How to Fly a Kitfox book refers to these airplanes as badminton birdies. They decelerate instantly to a stall when you pull the power out completely and raise the nose. Sounds like an engine out situation would be extremely eventful. ASI definitely isn't accurate, but it is on the fix list. Home airport has only asphalt. 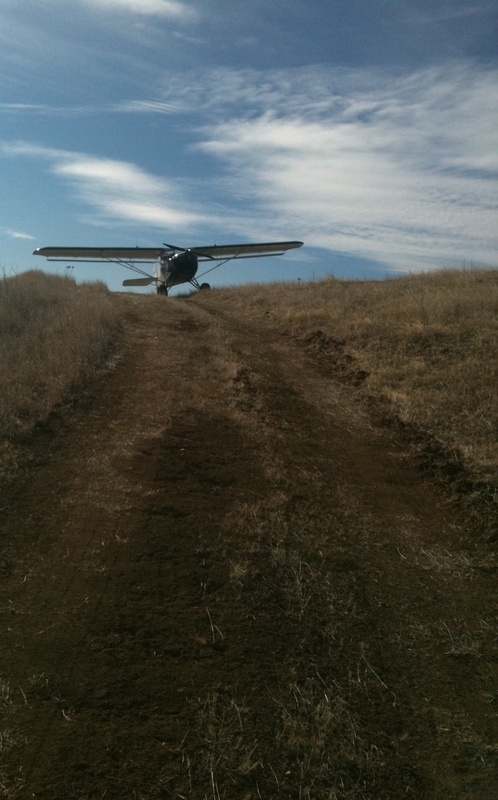 I do most of my landing as wheel landings living in Wyoming with lots of gusty wind it just works better. If you need to do a dead stick landing add 10 miles per hour so that you have plenty of speed and energy to do the flair and plant it on the ground. So there you have it, 3 different thoughts. My suggestion is land it the way you are most comfortable with and then expand the envelope in all the modes. As mentioned they bleed off in a hurry so add some extra speed at the beginning. Just my thoughts your mileage my very. When landing an uphill one way strip with no go around possibility that's 250ft long being 10 mph fast is much more eventful. You asked the question and I gave you "my" answer. While it's always on my mind and I've had a for real dead stick landing I do not cater every moment of my flying waiting for an engine out. That would be like never leaving the right lane of the freeway anticipating your truck is gonna die at any moment. I tend to be on the far side of the spectrum and do things in my plane that 95% of other pilots are not willing to try and my plane is still much more capable than I am. Landing in 500-1000 ft on pavement just doesn't do it for me. I guess I should have preceded my post this is my technique when getting in and out of a short field. If you have zero experience in these keep the speed up initially but I think that you'll find compared to a 170, Cub, Champ, Citabria etc wheel landings are a bit more challenging. I've seen people ground loop these airplanes many more times compared to others. I'm with Joey. Ad some power at flair out and let it settle down slow. Jim I wasn't referring to anything you said. Your advice was better suited to a brand new Avid pilot. Which is what I am. I have over 1500 hours, but little tail wheel time. Unfortunately, the gross weight on my bird is at 850 with a 480 empty weight and with me in it doesn't allow much for someone more experienced to be with me. I managed to find someone with a KitFox IV to work with me for an hour or so, but now he is gone. In the his Kitfox I didn't have much problem with takeoffs in a wheel configuration, but he had fairly large balloon tires, so visibility over the nose was pretty much nil unless the tail was up and level and I never got the landings quite right. It had been some time since I had done anything with a tailwheel, so knocking off the rust on my happy feet and trying to land with 0 visibility over the nose was giving me issues. I took a cub out yesterday for about 1.5 and had no issues with takeoffs or landing, but as you all know there is really no comparison. I took my Avid onto the runway this morning and found that no only was the Cub not much of a comparison, but that it seems a lot more squirrely than the KitFox 4, but I thought it would be, just didn't know how much. I don't feel ready to take it off the ground yet, getting it in the air is not a problem...did that a couple of times unintentionally, getting it back on the ground safely is my primary concern. I guess I should also mention that I do have visibility over the nose in my Avid in all configurations. I bought the plane with no logs on airframe, engine or prop. So after I put a new engine and prop and went through the aircraft fairly thoroughly, I had the guy who helped with the time in the KitFox IV do some test flights on it before I even considered getting into it. Keeping in mind that they guy I am talking about owns two KitFox IVs, has LOTS of tailwheel, and other, time. I believe the quote that I gave him is that if something was going to go wrong, I wanted to make sure that it was me and not the plane, so right now, I have to presume that the current issue is with me. I have been trying for the last several months to find someone in my area to assist, but so far I have only found the one and he is gone on a job for a while. With that info I would follow Jim's advice with a big thumbs up on making sure that the wheel alignment is correct. Well, I successfully flew the tail the full length of the 5500 foot runway today five times in a row. Had a few excursions from the runway before that into the grass, one time intentional and the others not. I am curious to know if anyone with the standard gear/wheels (not bush tires) ever do a full stall 3-point landing with the stick all the way back? If I do this with my C-model Speed Wing the tail hits before the mains and causes the mains to slam down. Ralph Moe's speed wing did the same thing. These days most of my landings are wheel landings but occasionally I need to get in a little shorter and fly it on in 3-point at slower speeds. I also usually approach high and do a healthy slip on short final just in case of engine failure. I can't answer for taildraggers but I usually come in with power on my avid speedwing and it makes a world of difference. My Loehle liked having power for landings too. Well all comments were very good. Now to change the subject slightly. I watched a demo years ago of a super cub doing cross controlled one wheel landings and switching from one wheel to the other. I had to try it which I did first in a C150 just had to keep the nose wheel from touching. I later did it in my Kitfox 1 which was easier. I was showing off (now you know where this is headed) with a rider one day doing this. I herd a scraping noise. The right droop wing tip lost a little fiberglass. DON'T Try this at home. Hey these are toys aren't they! There is a tailwheel instructor here in the Houston area that requires her students to to perform that maneuver down the runway in a Citabria. on one wheel then switch to the other. A little off the subject, but I find that the tri-gear (which a few of us have) is easier to land if you treat it like a taildragger. And with a 5000' runway here at PXE, I can do my three takeoffs and landings (for night currency) in one circle of the field. Takeoff, get to a hundred feet, land, stop, takeoff, get to a hundred feet, land, stop, takeoff and do the pattern. Try that in a Bonanza!